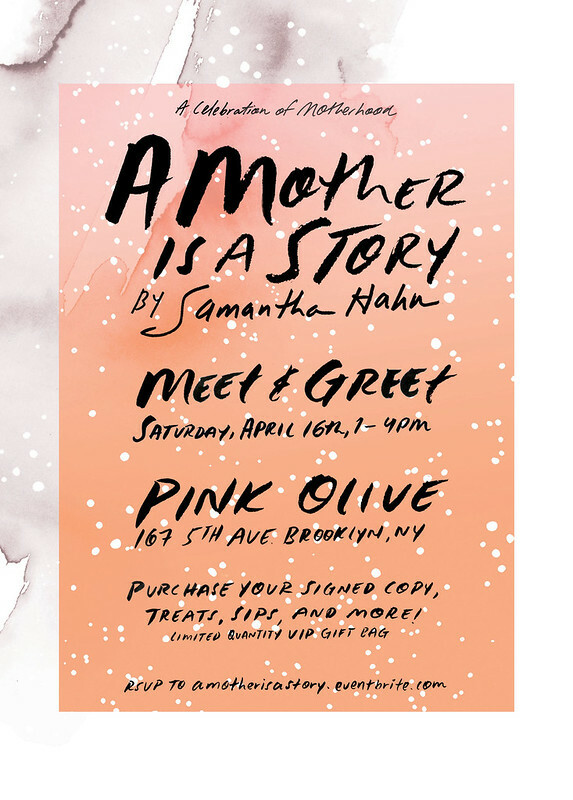 WHAT: A fun meet + greet/ celebration of my book, A Mother is a Story, and the accompanying guided journal, Stories for my Child. Pick up a book (I’ll sign) for your favorite mothers in time for Mother’s Day. Enjoy ridiculously awesome give-aways such as Rubi Jones’s book The Art of Hair, the Well-Read Women’s reader’s journal, the constellation journal I designed for Galison and other goodies in limited quantity. + sips and treats from CakeNY and flowers from Stem & Bloom.